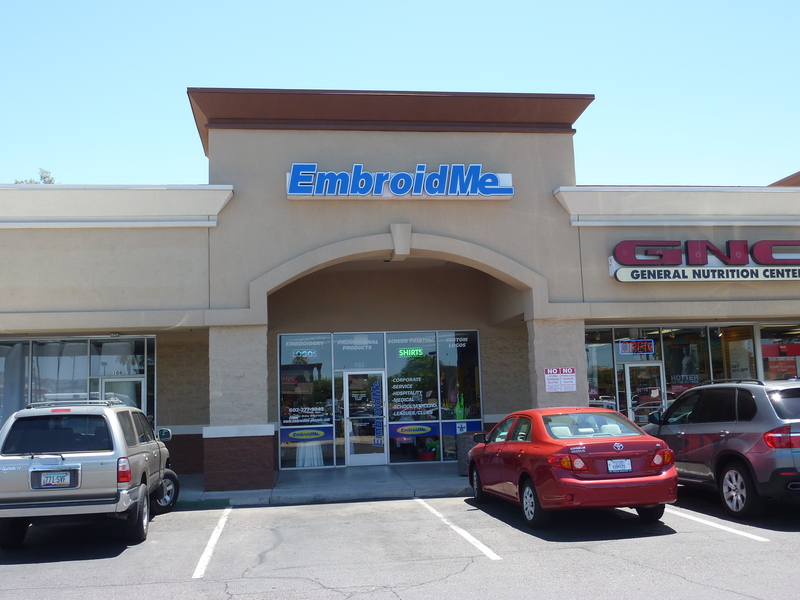 EmbroidMe is the largest network of professional customized apparel and product specialists. Our team of specialists work with businesses and organizations of all sizes to develop custom apparel and promotional items. We are an extension of your marketing department, and we invite you to visit your local Resource Center for a personal guided tour, where we will take you through our unique eight-point process that guarantees your satisfaction. Whether you’re motivating employees, thanking clients or launching a new brand, the EmbroidMe Experience will keep you coming back. Call today to for a personal consultation to learn more about our wide variety of products to suit your needs! Our specialists will help you develop a comprehensive solution to your marketing needs. One product that may be a possibility is a customized bag or tote bag. These items are highly functional ways to carry everything from beachwear to books but they are also a great way to display your company’s logo or message. Bags are used over and over again, ensuring your message is seen by a wide variety of potential customers. If you are looking for a mobile way to share your message, nothing is more effective than adding your logo to a promotional hat or cap. It’s an inexpensive, yet effective way to share your message, company name, product or service. The wearer exposes a large audience to your image, everywhere they go. Your corporate image is important. Trust EmbroidMe’s specialists to build an apparel program that will convey the image you want for your business. Our apparel builds brand awareness and visibility for your brand while giving your staff a professional image that re-enforces your business’s image. Wearing a uniform gives your employees a sense of pride and lets them serve as a walking advertisement. Let our specialists work with you to choose from a variety of styles, fabrics and colors to create just the right look and feel for your company uniform. A day on the golf course can mean more than just an enjoyable game. It’s also a chance to share your message in a unique, targeted way. Let us show you all the hot giveaways needed to build business relationships and strengthen teams for your next trip to the links. When is a jacket more than just a way to stay warm? When it’s also used to advertise your message or service! EmbroidMe offers a wide selection of versatile and wearable outwear with the latest generation of fabrics and colors. Our high-quality custom outerwear features a wide variety of designs and styles to appeal to every lifestyle and need. Custom promotional products are perfect for any business but the selection available is enormous. That’s why our specialists work with you to present categories of products that are in alignment with your goals and strategies. We don’t just offer an endless array of options, we show you how to maximize each option to get the best results possible. Nothing shows team spirit more than embroidered or imprinted team apparel. Trust your EmbroidMe specialist to know the needs of your local community team and have unique ways to share your team spirit. We have a wide variety of sports uniforms to choose from and we also offer items such as stadium blankets, backpacks and sports bags to show team support and promotion. Go Team! Plain White Tees? Yeah, we’ve got ‘em. As well as hundreds of other colors and options. Each one serves as a perfect backdrop to imprint your logo or message to get your point across effectively and affordable. Let us help you find the perfect T-Shirt solution for your project. Your local EmbriodMe is a part of your community and knows what your school needs for an attractive and polished way to promote school spirit and unity among students. Wearing school uniforms demonstrates a sense of pride students have in their school. Whether you need short or long sleeve shirts, vests, jackets, or ties, EmbroidMe has the uniforms you can't find anywhere else.